You don’t necessarily think of Iowa and forest in the same sentence. But the Shimek State Forest, which is about an hour and half south of Iowa City in Lee and Buren Counties, is one of the largest remaining forests in Iowa, at 9,148 acres. It’s actually one of four state forests, but the closest to Iowa City. It’s also a hiking destination that is unique in the state, with large tracts of oaks and hickories mixed with a 1,000 acres of pine trees. 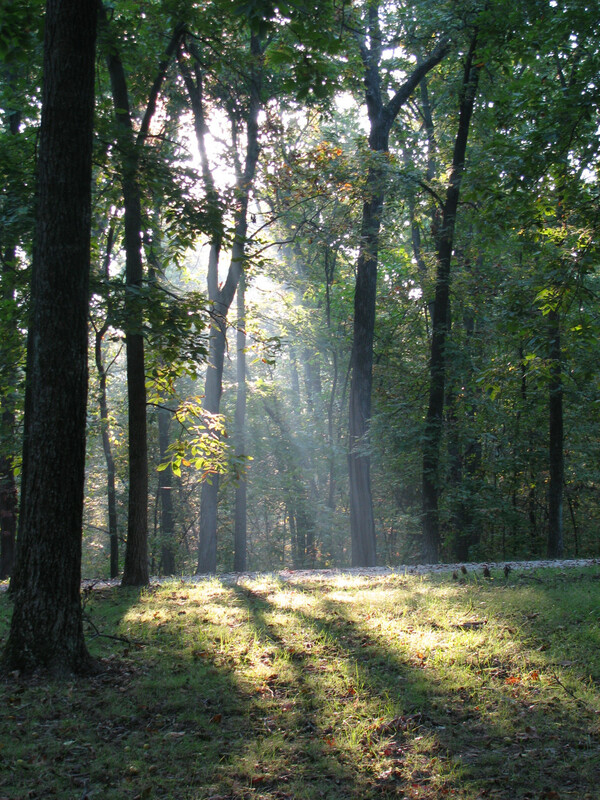 The idea for the forest preserve came from Dr. Bohumil Shimek, a University of Iowa professor and early conservationist. In the 1930s, he convinced the state to protect some forest land in the area as well as acquire some abandoned farms, which had become depleted after a century of farming. The forest was actually the base of operations for the Civilian Conservation Corps in the 1930s, and it was responsible for planting much of the hardwood that’s there today. The area now is a popular destination for just about any outdoor activity, with the entire forest open to hiking. But you’ll find plenty of people there to hunt, fish, boat and camp. The forest is broken up into five different sections, each with its own amenities. The Farmington Unit features the Bitternut Lake campground, with eight sites available on a first-come, first served basis. There’s a boat ramp to Black Oak Lake, in addition to a fishing dock and restrooms. You’ll also find 18.9 miles of hiking trails, the most of any units in the forest. The Donnellson Unit, with 11 sites in the White Oak Campground (also first-come, first-served) features a boat ramp on Shagbark Lake. 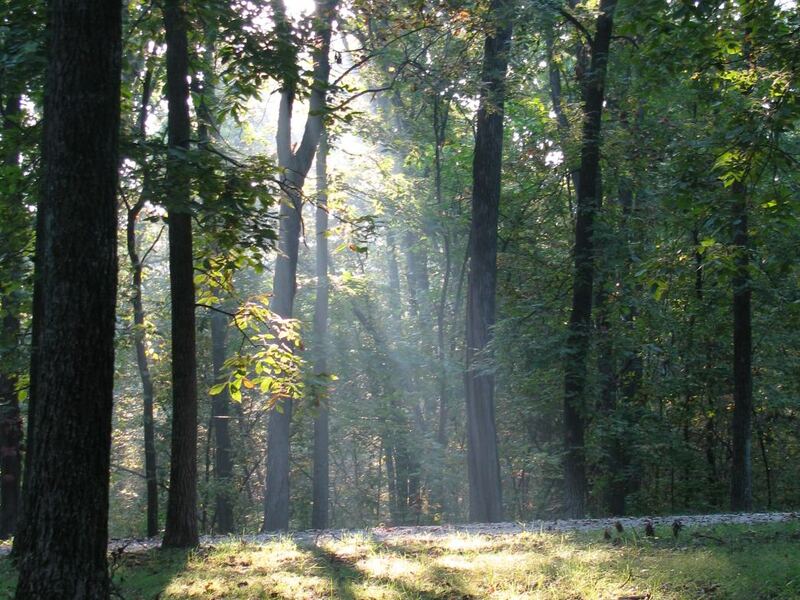 It has a nature trail, two picnic areas, and 6.2 miles of hiking trails. Both lakes are stocked with bass, channel catfish and panfish. You’ll find two equestrian campgrounds in the Lick Creek Unit, in addition to 25 miles of equestrian trails and 24 campsites. Finally the Keosauqua unit is separated a bit to the west of the rest of the forest, but you’ll also find 7.7 miles of hiking trails there. What will you see on the trail? White-tailed deer are abundant, but if you’re lucky you may also catch sight of red and gray fox, coyote, beaver, muskrat and woodchuck. You’ll find a wide variety of oaks and hickories throughout the forest, in addition to red and white elm, cottonwood, hackberry, green ash, silver maple and black walnut. (You’ve got almost all the colors covered). Native prairie plants can be found in some sections of the forest, including switchgrass, prairie cordgrass and purple coneflower. If you’re looking for a wilderness experience with leaving the state, the Shimek State Forest is tough to beat.